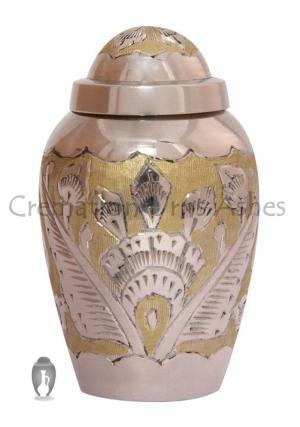 Farnham Devon Keepsake Urn is a mini sized cremation urn made of brass metal with a shining nickel finish on the top and decorated very well in flowers. 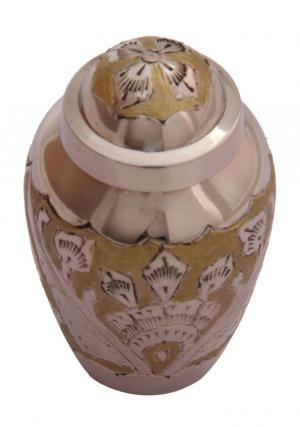 The small keepsake urn has a dome structure on the top embraced in light yellowish gold and elaborated with flowers. 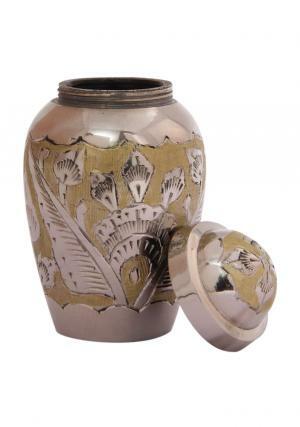 The mini cremation urn resembles a vase kind of structure with a beautiful hand imprinting. Memorial keepsake urn for human ashes has a royal presence to decorate the home with a Farnham Devon Keepsake Urn. 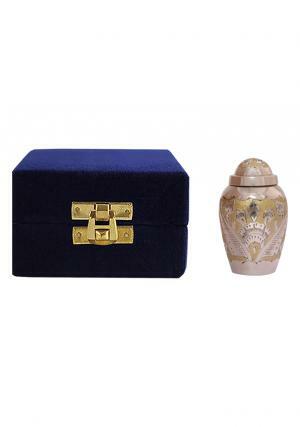 The mini memorial urn is a portray to resemble the love on demised and feel the presence of them alive. 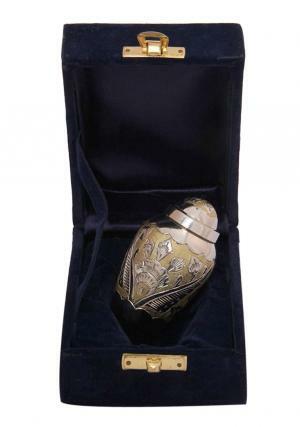 The following urn makes it a perfect present to distribute among members of the family. The mini funeral urn carries minimal amount of ashes in with a secure threaded lid on the top of the urn. 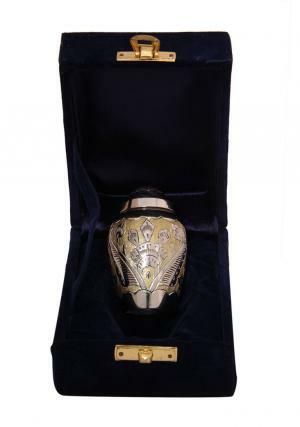 Memorial urn holds upto 3 cubic inches of ashes and dimension of this urn is 2.85” inches height, 1.77” inches width and weighs 0.14 kg.